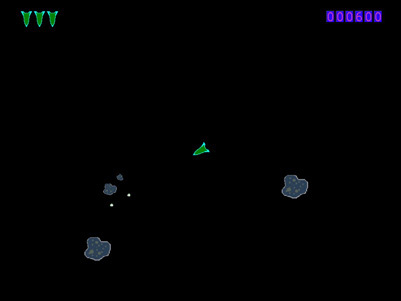 Asteroids was one of my favorite arcade games back in the day. I had to make a version for myself. 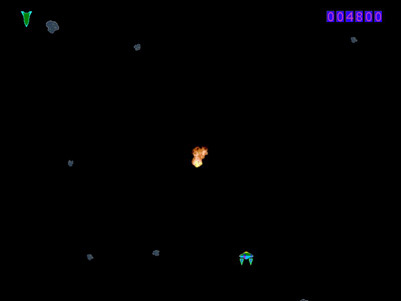 I have kept true to the basic features of the classic game, except for the vector graphics that is. This game is setup so that nearly all of the game data is read from text files when the program starts. The user can modify the data in these text files to change almost any aspect of the play and/or the images and sounds used. I first introduce the game itself. I will then give a detailed description of the configuration files (mentioned above). You will find a link to 3 zip files at the end of this article containing everything. The program starts with a welcome menu. There are 2 buttons for choosing the control mode. The game can be played with either mouse or keyboard. Instructions appear on the welcome menu. Play can go indefinitely, as long as you score enough points to earn ships faster than you wreck them. 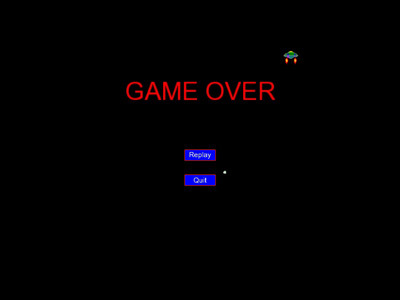 Finally, when the game ends, a game over menu appears. What's that ufo shooting at? The options here are to quit or return to the welcome menu for another game. I have used a system of several text files for storing most of the game data. I will cover them as they apply to each of several areas. 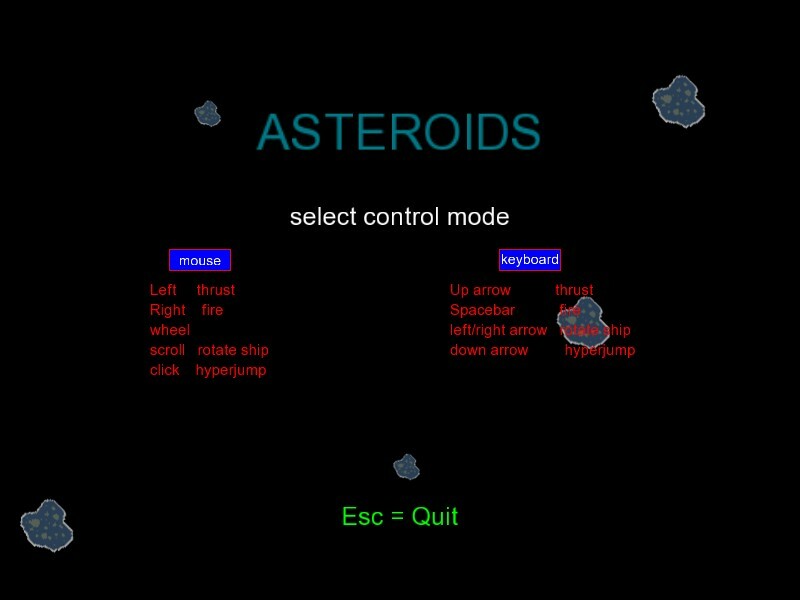 1) Adjusting ship properties and designing levels. I put the data for all of this in the file "levels_config.txt" located in the main folder. The 1st line has all the data for the good guy ship. The 2nd line is the data for the bad guy ships. The rest of the file is for defining the levels. First, the number of levels is given (4). 1 line of data for each bad ship. The data above is for level 1. The data for each asteroid consists of six numbers. Example values are from the 1st ship. The data for each bad ship consists of eight numbers. Example values are from the 1st ship. for the remaining 3 levels. The last bad ship is repeated as long as the level lasts. The last level repeats indefinitely. possible to change which image and sound files are used. mp3-there is a proprietary issue). The order must be preserved and there must be 5 filenames. The file for each sprite sheet contains data about the frames on the sheet. The list of config. filenames for the sprite sheets is in "bmpImages/list_config_files.txt"
First line = name of image file. Second line = 4 numbers. Here are the files for the game. The folder "AudioClips" contains only a text file "list_audio_files.txt". The 5 .wav files on this list must go into the AudioClips folder. The dlls go in the same folder as Asteroids_stat.exe. The 4 .wav files go in the folder "AudioClips"
contains: The 5th .wav file "levelBK3.wav"
I hope you have fun tinkering with the game play. If you develop any killer levels please share them with me! I accept (and respond to) PMs.